Welcome to the GiveSmartOKC Toolkit! We hope you find the tools included on this page useful as your promote your GiveSmartOKC profile. We encourage you to bookmark this page as we will be adding and updating tools. If you have questions or would like to provide us with feedback, please contact us by email at givesmartokc@occf.org or call 405/235-5603. Alert the media and public that you have a profile at GiveSmartOKC.org. See sample release here. Promote your GiveSmartOKC profile with an article in your upcoming newsletter. See samples here for both print newsletters and electronic newsletters. 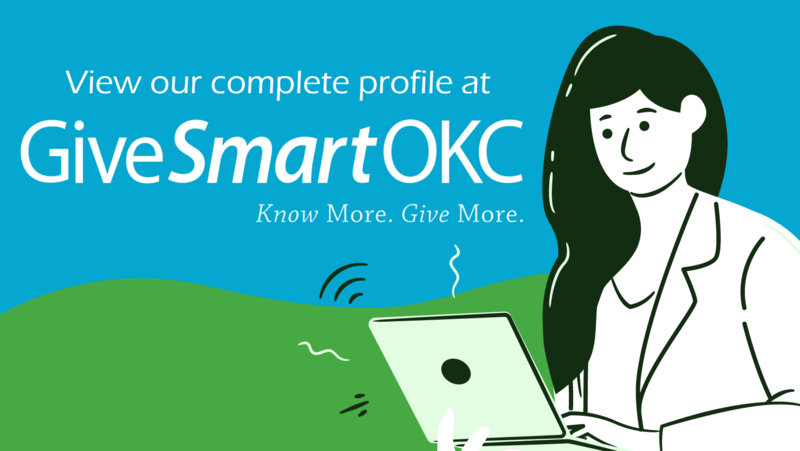 Remind your newsletter readers about your GiveSmartOKC profile with a display ad. We’ve provided each of you with the HTML code to add a GiveSmartOKC badge to your websites that will serve as a direct link to your profile. If you need the HTML code sent to you, please contact us at givesmartokc@occf.org. Change your Facebook cover and profile photos and Twitter profile photo to the images below to encourage your fans and followers to visit your GiveSmartOKC profile. Learn how to create a QR Code for your GiveSmartOKC profile here. 18 ways (and counting!) to promote your GiveSmartOKC profile! If we’ve missed something, let us know and we’ll add it to the list. We’ve developed a two-minute video about GiveSmartOKC. Show it at your next board meeting or donor event! We’ve developed this easy, two-page guide for our donors. Share it with yours!